While some home candle makers learn and perfect the craft for personal enjoyment, chances are that most of them have thought about selling their candles to generate some supplemental income. Some even choose to replace their income entirely at one point or another. Moreover, with so many ways to sell your candles, where is the best place to focus your attention? While no one can answer that question for you, there are benefits to each way that may affect your decision. 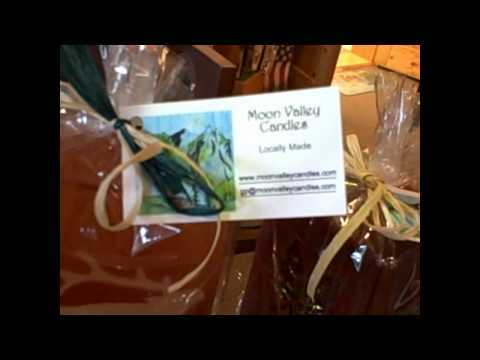 Here is an overview of selling your homemade candles by consignment so that you can decide whether this method may work for you. The basic concept of consignment is placing your candles for sale in an already established business where the business owner agrees to sell your candles for you in return for a percentage of the selling price. Some business owners will charge you a fee for shelf or booth space as well. An example of a consignment situation would be a Store Owner charging the Candle Maker fifty dollars a month for a certain amount of consignment space in the Store Owner’s store. In addition, for each candle that is sold in the store that month, the Store Owner keeps 15% of the retail price as a consignment fee and pays the remaining money to the Candle Maker. If the store is selling a large number of candles, this arrangement can be lucrative. If not, you can end up owing the Store Owner more money each month than money you have earned. Another situation may have the Store Owner charging the Candle Maker a higher percentage of the sale as their consignment fee (likely 25 – 40%), but with no fee charged for consignment space within the store. Each consignment situation is different, so you will need to be fully aware of your obligations, as well as the costs involved. "MAKE MONEY WITH UNIQUE PILLAR CANDLES"
When considering selling candles by consignment there are several things you must consider. All of these questions are important to consider before making a commitment. One option that offers a great possibility is to sell your candles through ‘craft malls’. A craft mall is a retail store that sells the vast majority of its merchandise using a consignment situation. Craft malls are mainly comprised of many small, independent sellers all looking to sell their wares. Many craft malls are willing to limit the number of crafters selling a particular type of item. For example, one craft mall may allow only one or two candle makers to rent space. Again, you have to do your homework to see if a craft mall situation makes sense for you. Keep in mind that most craft malls will require you to sign a contract for renting space for a specified period, so be sure to research thoroughly before making a commitment. If there are no craft malls available in your area and you are still interested in consignment, consider asking a complementary local business if they would be willing to consign your candles. Home decor and furnishing stores and gift shops are excellent possibilities. You might be surprised who will be willing to work with you, and you may be able to negotiate a great deal. There are many ways to create a successful home candle making business, and consignment selling is only one of the many ways it may be possible. Explore your options and decide what the best fit is for you and your ultimate goals.